Animal attacks are not uncommon in the State of California. 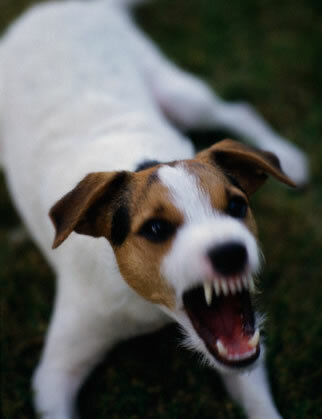 Although such incidents often involve dog bites, there are also instances where other animals kept as pets are responsible for vicious attacks. Suffering an attack and/or being bitten by an animal owned by a third-party can not only be painful, but the injuries can lead to serious consequences to a victim’s health. If you are a victim of a dog bite or animal attack, you have the right to compensation for your injuries. For example, if you are bitten by a third-party’s dog, you can pursue monetary damages from the dog owner. In fact, California law protects persons that suffer dog bites on public and/or private property. The law imposes strict liability on dog owners, which means that the owner is liable even if their dog had no prior history of being vicious and/or had no prior history of biting people. Have you been injured as a result of an animal attack? • The dog bite or attack resulted in your injuries. First, you must seek medical treatment for injuries before they lead to serious health problems. Second, you should retain the services of a personal injury lawyer who specializes in animal attack cases. With the appropriate legal advocate by your side, you should be able to recover compensation from the animal owner for all the losses you incur as a result of your injuries. Contact our Los Angeles animal attack attorney today! The Law Offices of Jual F. Reyes is comprised of experienced and highly-skilled lawyers who have successfully handled personal injury claims stemming from dog bites and other animal related attacks. We focus on preserving and obtaining evidence to support your claim against the responsible party. We also aggressively negotiate with the responsible party in securing the maximum compensation on your behalf for such things as medical expenses, lost wages, and emotional pain and suffering. Do not delay in submitting a claim for compensation for your dog bite or animal attack injuries. Contact one of our dog bite attorneys in Los Angeles today at (310) 854-5917 or toll free at (877) 242-4410 for a FREE consultation. Also, you can reach us via e-mail at info@jualreyeslaw.com or simply fill out our Case Submission Form found at the top right hand portion of this page.